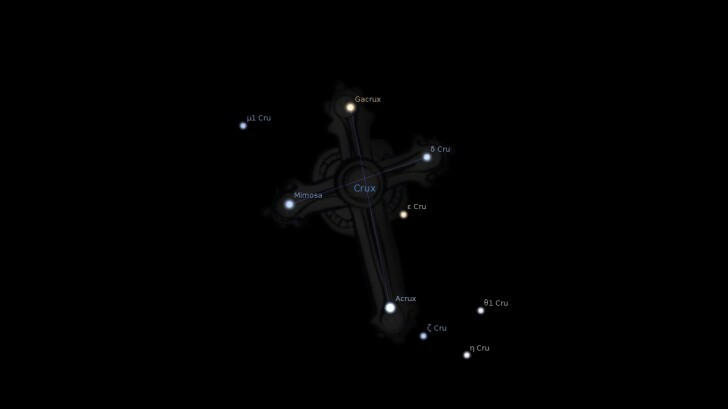 Gacrux is a star on the top of the Southern Cross, constellation Crux. In Portuguese, this star is called Rubídea, “Ruby-like“. In China it is Shí Zì Jià yī, “First Star of Cross“. Indigenous Central Australian tribes include Mimosa in their Iritjinga, “Eagle-hawk“.